Labor Day cookouts and huge gatherings of family and friends are such fun ways to bring summer to its close--but, aren't always the most friendly Meatless Mondays! Summer bbq's bring images of burgers, chicken, steaks, and meat sizzling on the grill--but, we try to offer as many meatless options as well for our guests (and ourselves). 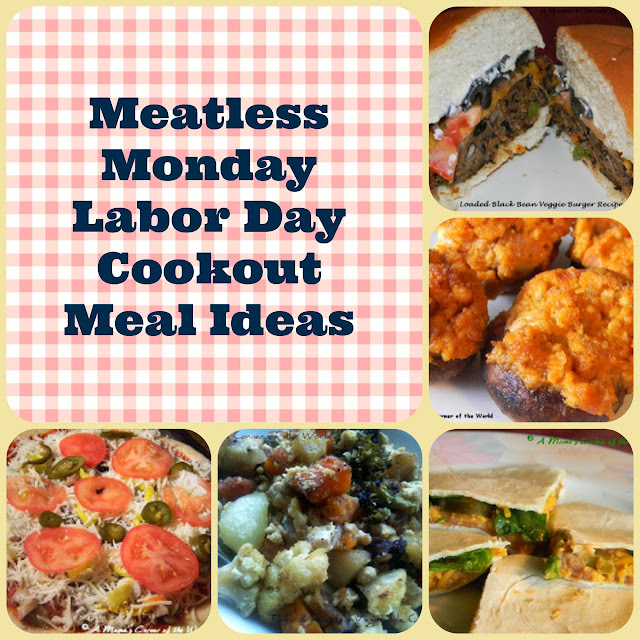 This morning, I thought I would put together a handful of our favorite Meatless Monday recipes from past years that are perfectly suited to Labor Day cookouts. I just mixed together a batch of these to chill in the freezer before grilling this afternoon. 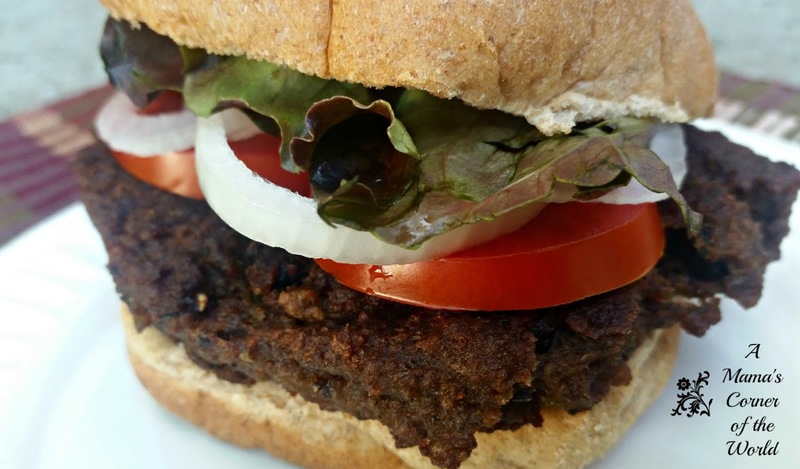 Top these veggie burgers with an assortment of summer veggies and a bit of spicy mayo and even your meat lovers won't miss the meat. Get the recipe for Black Bean Veggie Burgers. You can serve all of the flavors of buffalo wings on Meatless Monday with these buffalo wing inspired veggie stuffed mushrooms. Get my recipe for buffalo Veggie Stuffed Mushrooms. Skip the oven and grill these thin crust, veggie loaded pizzas outdoors. It's a great option to let guests customize their meatless meal with their favorite vegetables. When we make these--I load bowls of pizza ingredients and let each guest build their own pizzas on individual sized crusts or "team up" and share a larger crust. Get my recipe for Veggie Pizzas here. I always add some make-ahead casserole type side dishes--or main dishes--to our cookouts and potlucks. They are easy to prepare ahead and keep warm for serving. This roasted vegetable casserole makes a perfect bridge from summer cookouts to fall comfort food! 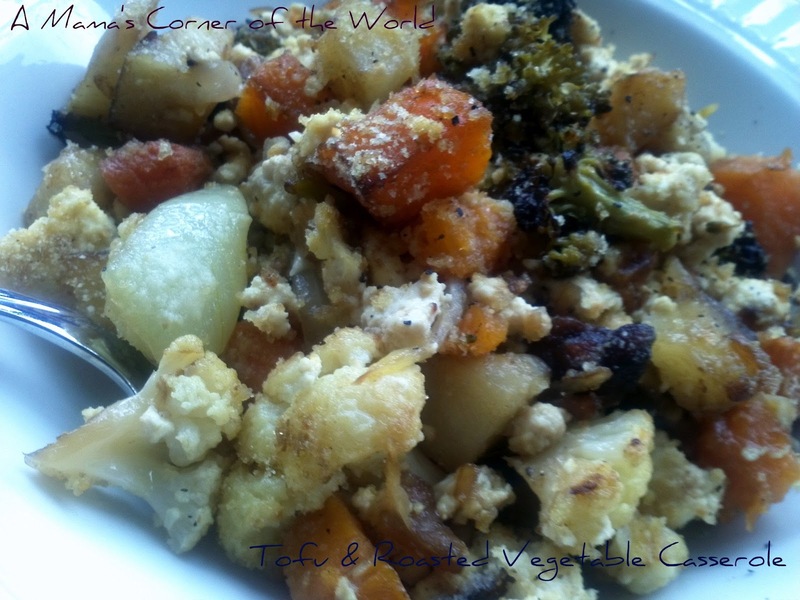 Get my Tofu and Roasted Vegetable Casserole recipe. Build these simple quesadillas--and pop onto the grill to melt the cheese. Cut into triangles with a pizza cutter and a meatless grilling option is on the table in minutes. Get my Spicy Jalapeno Bean & Cheese Qusadilla recipe. These are a just a few of our favorite Meatless Monday meal ideas for cookouts--but you can check out our other Meatless Monday recipes for more ideas.